Most of us view trash as something that should remain unseen, whisked away in the most sanitary manner possible so that we don’t have to think about it too much. But outside Cairo is an informal entire city brimming with it. It towers into the air. It is stacked on sidewalks and rooftops. But this is not just an inadvertent dumping ground: the area is an active, bustling micro-metropolis, built around, filled with and ultimately sustained by junk. 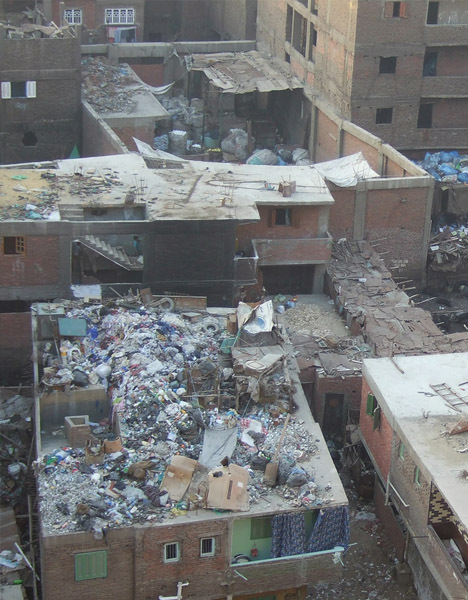 Garbage City, as it’s known, has long been the ultimate destination of all of Cairo’s trash. 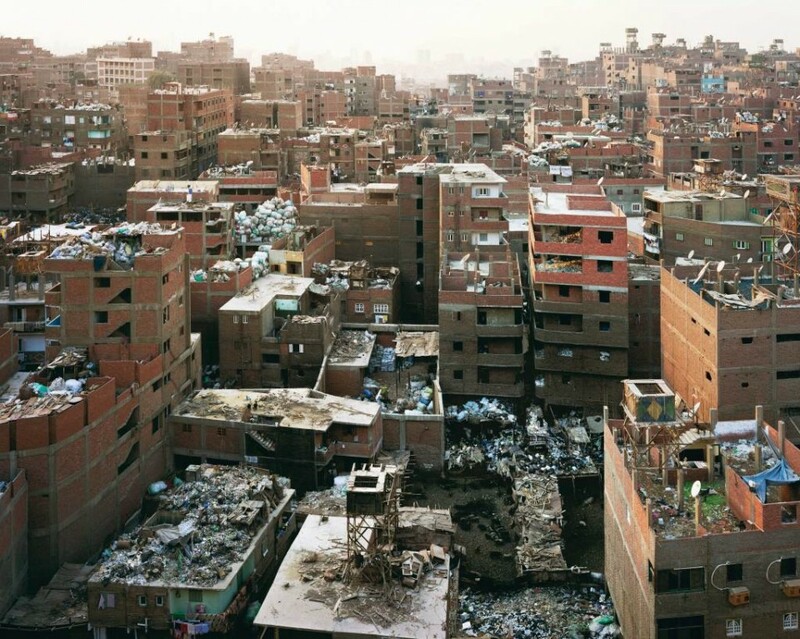 Here, a community of people called the Zabbaleen view trash as a way of life. 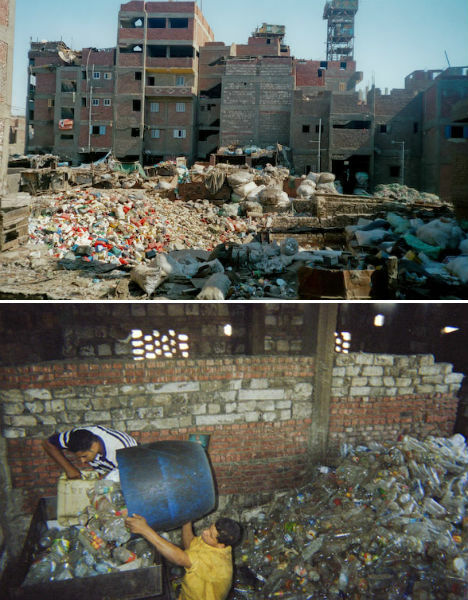 As depicted in the documentary Garbage Dreams, the Zabbaleen scratch out a living by carting away the trash from Cairo’s streets and then sorting through it, recycling 80% of it and feeding the remaining organic matter to pigs, which provided meat and fertilizer. Different families are known to specialize in different types of refuse, sorting cans, bottles or paper from one household to the next. Much of the area is without running water, working sewage or functioning electricity. 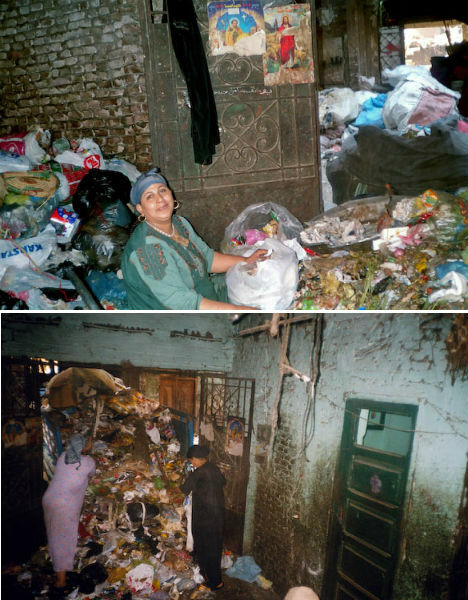 But as Cairo’s population grows, so does the trash – and since authorities removed the pigs in 2009 due to swine flu, the trash is getting harder to manage. 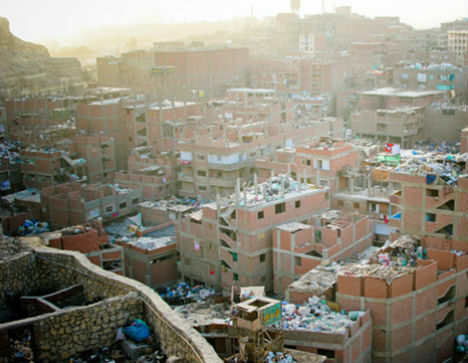 Egyptian officials have made attempts to modernize the nation’s trash collection system, but the private companies they contract are unable to deal with the constant flow in the highly efficient manner of the Zabbaleen. As the Zabbaleen speak out to raise awareness of their plight, collecting funds to purchase lands for recycling schools, others – like Mekano Architects – imagine solutions that could work for all involved. 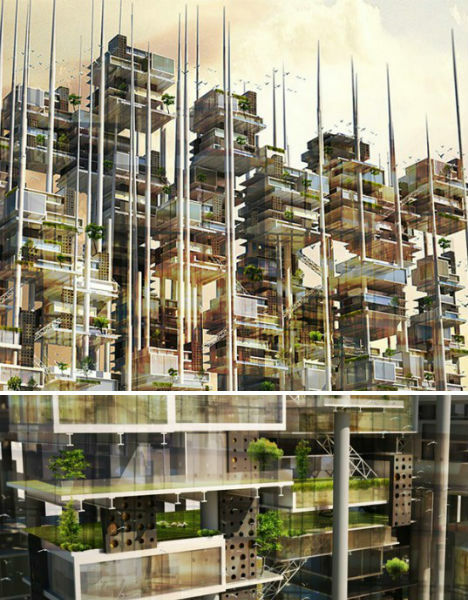 Mekano Architects envisions a way to recycle the trash into a vertical city called Seeds of Life, a skyscraper consisting of towering ‘wind stalks’ that support stacked modular homes. The organic garbage would be used to harvest biogas, and other waste could be turned into building materials. The tubes that support the structures would actually collect wind energy, and also distribute water and electricity throughout the development.